PHILADELPHIA (WPVI) -- The Forrest Theater will be the room where it happens as 'Hamilton' makes its Philadelphia premiere next year. The hit musical is part of the Kimmel Center's 2018-19 Broadway Philadelphia season showcase. The lineup was announced by the Kimmel Center last week. 'Love Never Dies,' 'Roald Dahl's Charlie and The Chocolate Factory,' 'Dr. Seuss' How the Grinch Stole Christmas! The Musical,' and 'Anastasia' will also be making their Philadelphia premieres. Current 7-show subscription packages range from $246 to $944 and are available online at www.kimmelcenter.org or by calling 215-893-1955. Single tickets for individual productions will go on sale at a later date, so you haven't missed your shot just yet. 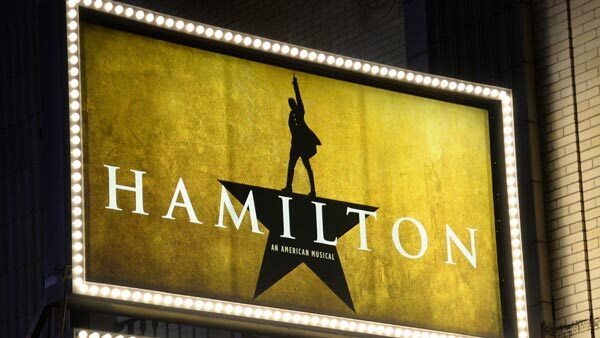 'Hamilton' will run from August 27. 2019 to November 17, 2019.